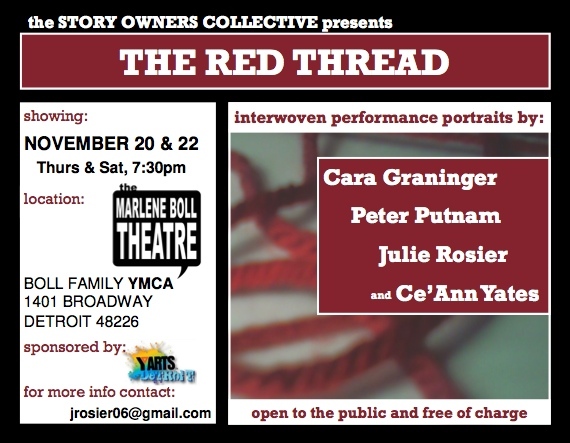 The Story Owners Collective announces a brand new form of personal story-telling theater, with their Detroit premiere of THE RED THREAD: Interwoven Performance Portraits. The play uses personal narrative to honor individual journeys while revealing social interconnectedness. An ancient Chinese proverb speaks of an invisible red thread of destiny, which connects all humans to each other. It is said that this magical cord may tangle or stretch but will never break.